Mr. TBS does most of the cooking around here, but I'm beginning to think I'm not too shabby in the kitchen after all. Today I wanted to share one of our quick and easy meals that has been added to our list of reliable standbys this year. Ready in 20 minutes! 1.) Boil noodles and stir occasionally to cook through. 5.) Add the sauce to the pot, and stir until the noodles are evenly coated. 6.) 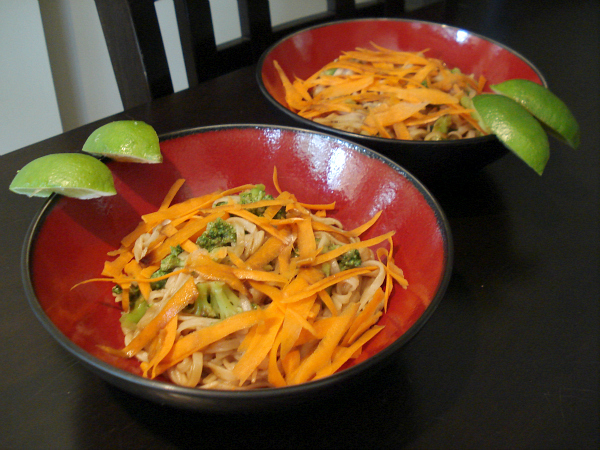 When serving, garnish with grated carrot and lime wedges. Dig in! I hope you enjoy it! 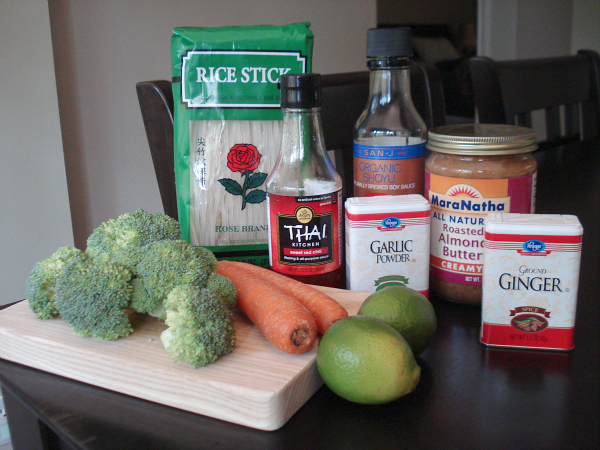 MMMMM I love pad thai! I might just have to steal this. I'm always looking for fresh new ideas for recipes-- love this and I would love for you to come link up to my That's Fresh Friday Link up! Definitely trying this next week! 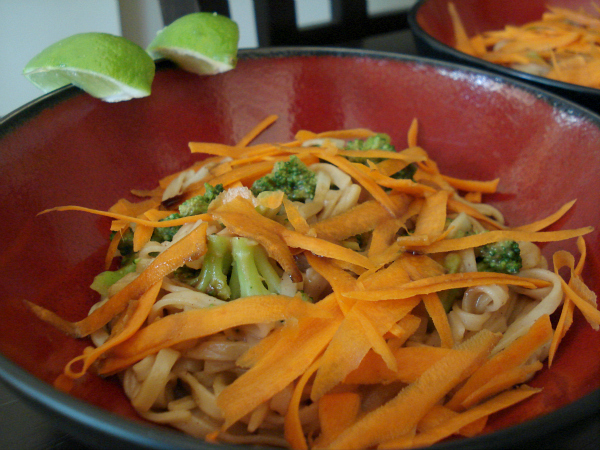 We love pad thai and this looks easy and delicious! hmmmm this has me salivating! yummy! OOH yum this looks so delicious!